For the move to value-based care to succeed, the healthcare industry must give patients more agency, CMS representatives told members of Congress on Wednesday. The federal government has been focused on interoperability for at least the past ten years. Most recently, CMS Administrator Seema Verma announced MyHealthEData, a Trump administration initiative intended to give patients greater control over their own data—though details on how that will work have been sparse. "As hard as it is to put patients in the driver's seat, at the end of the day, it's really the only solution," Demetrios Kouzoukas, principal deputy administrator for CMS, told the U.S. House of Representatives Ways and Means Committee's health subcommittee during Wednesday's hearing. "The patient is the one experiencing sickness and making choices about their care." 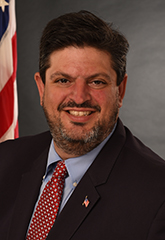 This recent push for greater interoperability is unique because of its focus on the patient, Kouzoukas said. "The focus is not on interoperability for its own sake but interoperability for the opportunity it presents to patients to be empowered and have access to their information," he said. "Ultimately, we think that if you put patients in the position to help drive that value, you're going to get to a better place." The increased focus on patients is also evident in the CMS' Patients Over Paperwork initiative, though which CMS administrators intend to reduce the regulatory burden on providers. Meanwhile, CMS administrators are also working on another attempt to reduce the burden on providers, Meaningful Measures, which administrators intend to make quality reporting more efficient. This is not to be confused with meaningful use, a program Verma said would be overhauled to make complying with it cheaper and less time-consuming.